How to travel by car and ferry to your Ibiza villa - all the sea connections with Ibiza. If you decide to come to Ibiza by sea, regular ferries run between mainland Spain (Barcelona, Valencia and Denia) and Ibiza, and Mallorca. 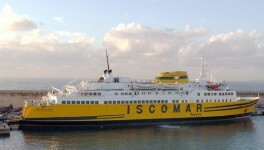 There is at least one ferry sailing every day in the Ibiza Summer. When you rent your Spanish villa and want to drive around Ibiza in your own car, then you have to travel to Ibiza by ferry. The ferries can transport cars as well as foot passengers. Below are links to the web sites of a couple of ferry operators. 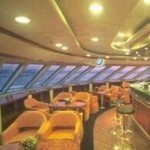 Ferry travel is one of the slower modes of transport available to the modern tourist. In the past a ferry trip from Barcelona took approximately 9 hours - sometimes a stop at Mallorca island increased that time. Balearia's new high-speed route connects Barcelona and Ibiza in just four hours! 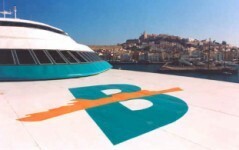 Since June 2004, Balearia offers this new super fast ferry enabling you to travel from Barcelona to Ibiza and vice-versa, four days a week. Furthermore there are other super fast ferries which will take you from Denia to Ibiza in just about two hours and from Valencia to Ibiza in just about three hours. Sit back, relax and breathe in the clear island air and marvel at the beautiful scenery.